The Falcon Company was established in the year 1977; however, it wasn't until the year 2001 that the corporation began developing products for airsoft. The name Falcon was created after the company's I.P.S.C. Team called Chan Chun. 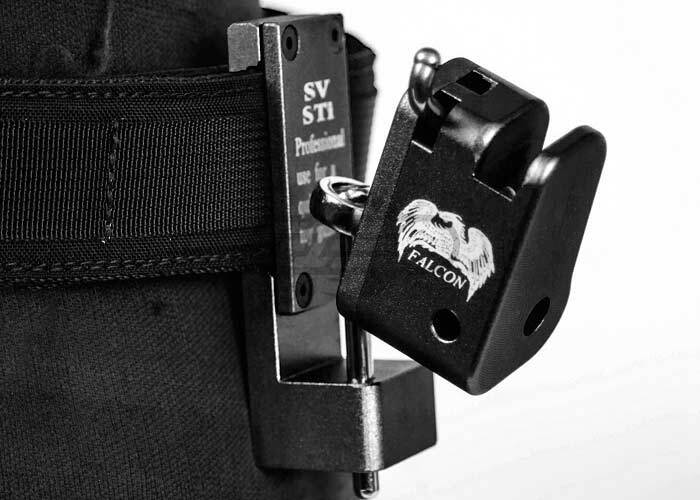 Falcon Products are more symbolic for the I.P.S.C. fast draw set of guns. Falcon products have been used by multiple I.P.S.C teams in different countries demanding the most performance from their airsoft gun. 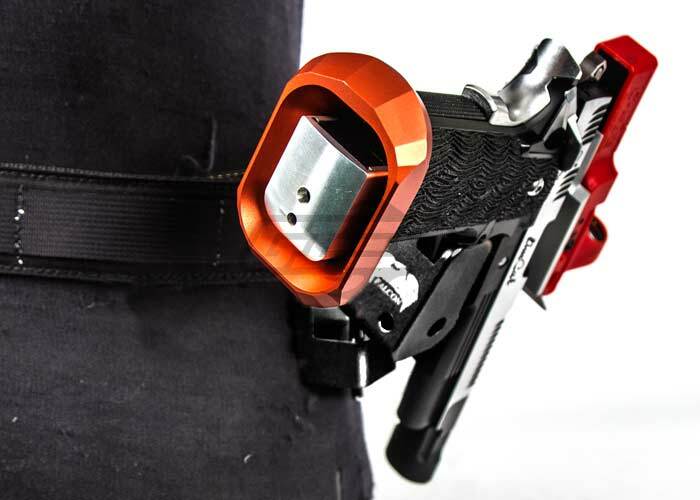 The Falcon IPSC Quick Shoot Holster is an ideal tool for the shooter who expects the best our of the gear. Where speed is as an essence. 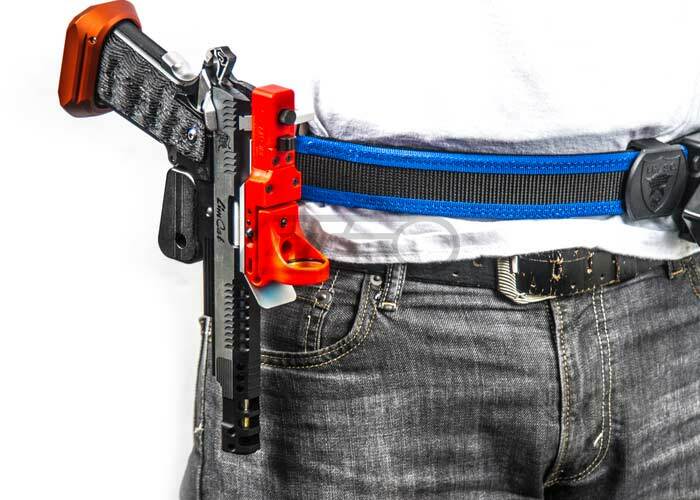 The IPSC Quick Shoot Holster is adjustable to every shooter. 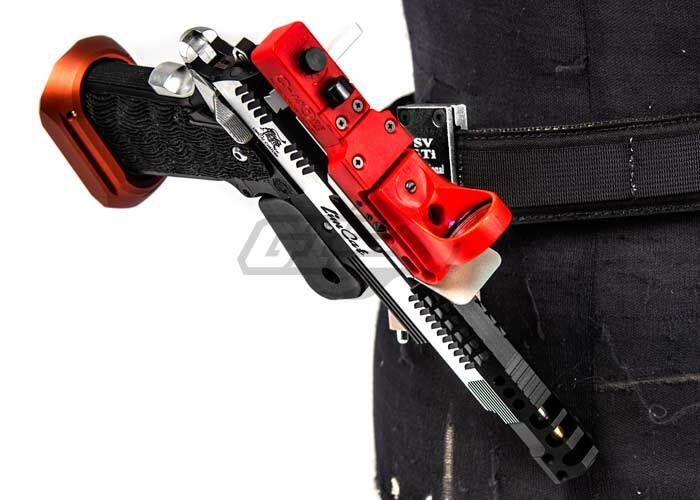 From the height placement of the shooters waist, the distance from the shooters side, and the angle of the gun is adjustable. The release mechanism is easily accessible. 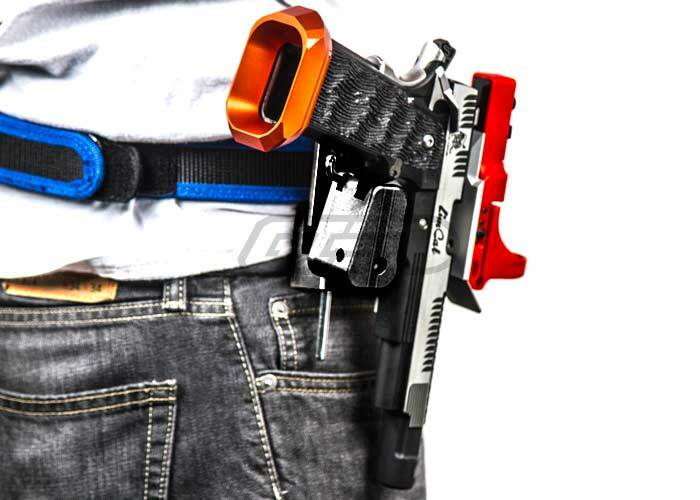 Constructed out of CNC Aluminum, the durability and performance from this holster is exceptional. 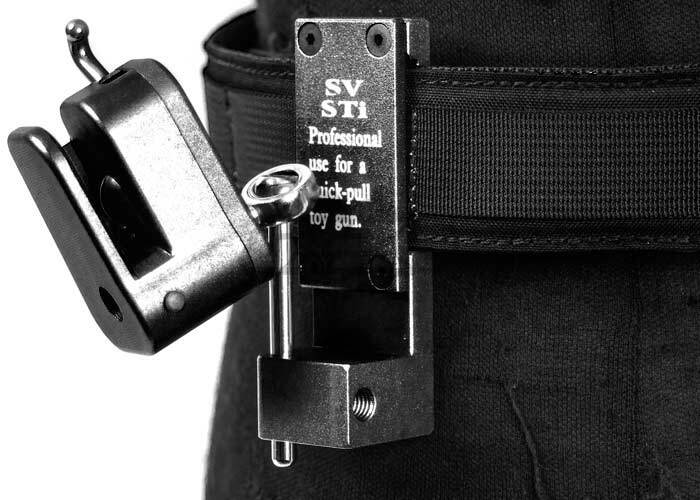 The IPSC Quick Holster is an important tool especially if every second counts. 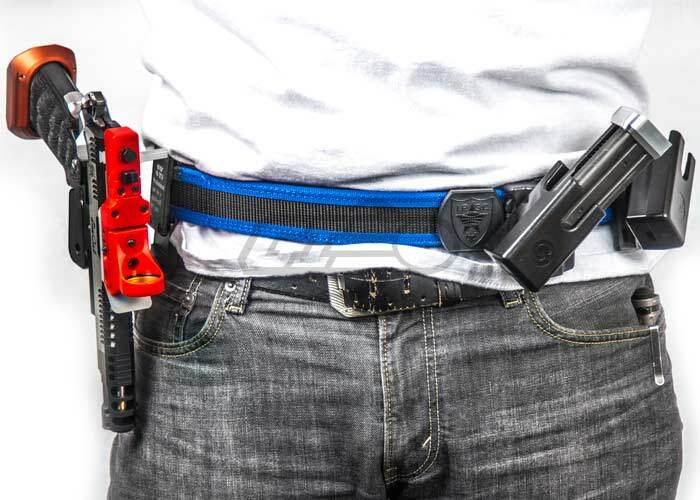 This Holster comes in a black finish. 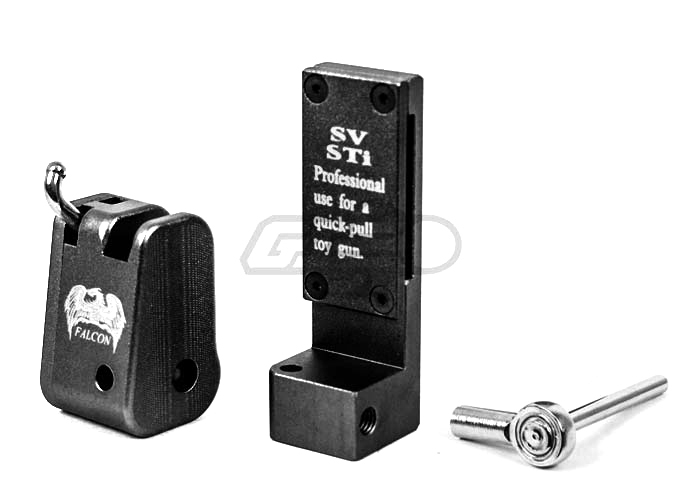 Product will only work with 5.1 and SV style airsoft guns. Product will NOT work with 4.3 and 3.8 style airsoft guns.